In fiscal year (FY) 2009, the NOAA Coral Reef Conservation Program (CRCP) redesigned its graphic identifier. Downloadable files and instructions for proper use are available on this page. NOAA CRCP's graphic identifier may be used by NOAA staff and external partners pursuant to the terms below. The CRCP's identifier may be used to link to a CRCP Web site or acknowledge CRCP funding or affiliation. The CRCP's identifier cannot be used to imply or endorse a product or service and cannot be used to falsely imply employment by, or affiliation with, NOAA or the CRCP. No explicit permission is required from the CRCP for funded projects to use the CRCP identifier unless the use does not clearly fall within the accepted uses listed above. For all other desired uses of the identifier, please contact us to request permission. The CRCP identifier must be used in its existing layouts; it may not be disassembled and used as separate elements. For example, the identifier's text may not be removed from the layout in any use of the identifier, nor may it be retypset using a different font. However, graphic designers may change the text color to white if the identifier is used on a dark background. No other color changes are permitted. The identifier should not be reproportioned, distorted, or set at an angle. When identifiers and logos from multiple organizations and agencies are to be displayed on a product or publication, the CRCP identifier may not be combined with these other logos or identifiers to create a new graphic identity. It must be displayed next to other identifiers or logos with its original format intact. If you have any questions about the use of this identifier, please contact us. The NOAA Coral Reef Conservation Program was established in 2000 by the Coral Reef Conservation Act. Headquartered in Silver Spring, Maryland, the program is part NOAA’s Office for Coastal Management. 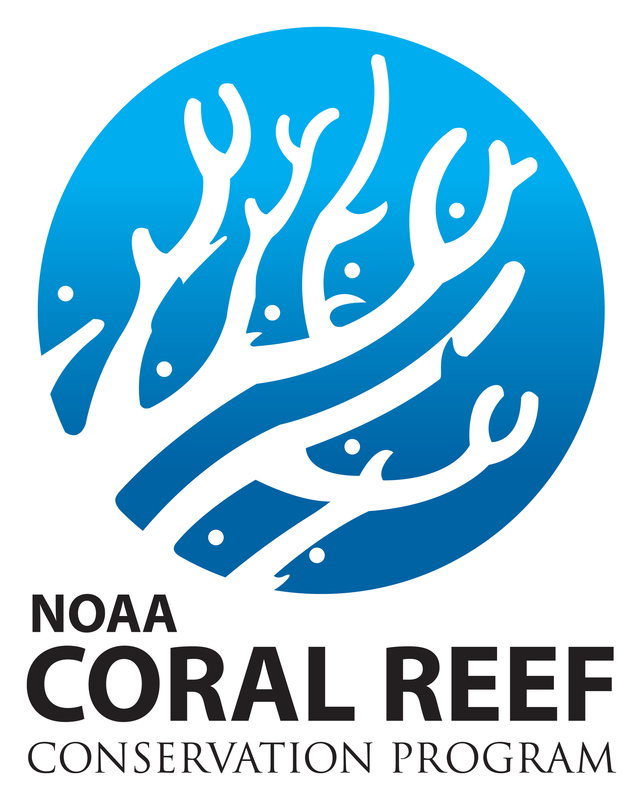 The Coral Reef Information System (CoRIS) is the program's information portal that provides access to NOAA coral reef information and data products. Thank you for visiting NOAA’s Coral Reef Conservation Program. Take our website satisfaction survey. We welcome your ideas, comments and feedback. Questions? Email coralreef@noaa.gov.